N.B. : Washington Times title: "Cyprus rides a troubled sea of oil and gas opportunity." The Republic of Cyprus has entered the maelstrom of the world's most volatile region, thanks to new-found gas and oil reserves combined with an erratic Turkish foreign policy and a civil war in Syria. Even as leaders of this Mediterranean island show skill in dealing with these novel threats and opportunities, they need support from a strong U.S. Navy - something not now available. 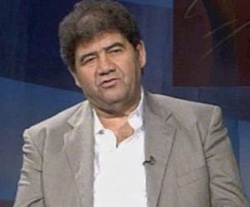 Solon Kassinis, man behind the Cypriot gas strategy. Cypriot underwater gas and oil discoveries follow directly on ones found earlier in Israeli seas, located adjacent to them and uncovered by the same American (Noble) and Israeli (Delek, Avner) companies. The current estimate of 5 trillion cubic feet (tcf) of natural gas as well as some oil has a value estimated at US$800 billion, a huge amount for a small country whose current GDP is a mere $24 billion. The great majority of this energy will likely be exported to Turkey or Europe. A pipeline to Turkey would be cheapest and easiest but so long as Turkish troops occupy 36 percent of Cyprus, this will not happen. A recent court decision permitting the Israeli government to decide what quantities of energy to export now offers other possibilities: Cyprus could swap gas with Israel that then goes to Turkey,or the two allies could jointly build a liquefied-natural-gas terminal in Cyprus. 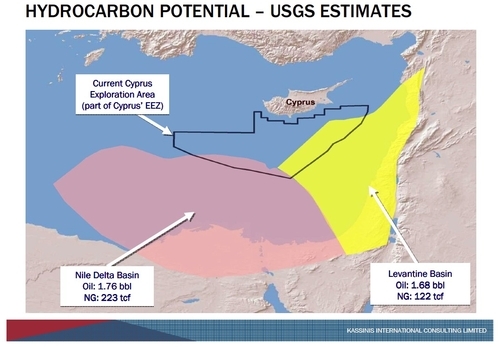 Eventually, should Egypt, Gaza, Lebanon, and Syria find gas and join the modern world, they too could take part, turning the area between Egypt and Cyprus into a truly major resource. According to the U.S. Geological Survey, the contiguous Nile Delta and Levantine basins together contain an estimated 345 tcf of natural gas and 3.44 billion barrels of oil. The Nile Delta and Levantine basins together contain an estimated 345 tcf of natural gas and 3.44 billion barrels of oil. These new-found reserves can help either solve or inflame the Cyprus Problem. The Cypriot government wisely delimited its maritime boundaries with Egypt in 2003, Lebanon in 2007, and Israel in 2010. It has contracted new exploration to France's Total, Italy's Eni, and South Korea's Kogas. Energy-hungry Turkey looms over this treasure, however. Ankara wants its northern Cyprus puppet-state to receive part of the income from the new reserves, while Turkey's 1974 invasion of the island raises fears that its erratic and roguish prime minister, Recep Tayyip Erdoğan, might invade the republic's territory. Erdoğan and Turkey's Foreign Minister Ahmet Davutoğlu have pursued an ambitious foreign policy of "zero problems with neighbors" which, ironically, has led instead to zero friends. Strained relations with Georgia, Armenia, Azerbaijan, Iran, Iraq, Syria, Israel, the Palestinian Authority, Saudi Arabia, Egypt, and Serbia raise the prospect of Ankara reverting to an older Turkish pattern and lashing out at Cyprus and Greece. In both cases, for instance, it could encourage disruptive refugee flows. 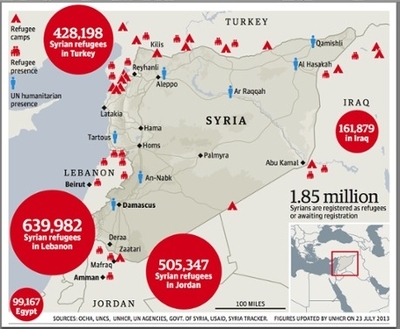 July 2013 estimates of Syrian refugees show that Cyprus has so far escaped the influx. This is where the brutal civil war underway in Syria, just 70 miles (110 km) away, enters the equation. So far, that conflict has not had a major impact on Cyprus, but the island's proximity, its minimal defense capabilities, and its membership in the European Union (meaning an illegal immigrant setting foot on Cyprus is close to reaching Germany or France), make it exceedingly vulnerable. The 2.2 million refugees from Syria since 2011 have so far bypassed Cyprus in favor of (in descending order) Lebanon, Jordan, Turkey, Egypt, and Iraq, but that could quickly change if the Alawites living closest to Cyprus take to the sea in sizeable numbers. Or if Ankara encourages Syrians to emigrate to northern Cyprus and then sneak across the border into the republic. 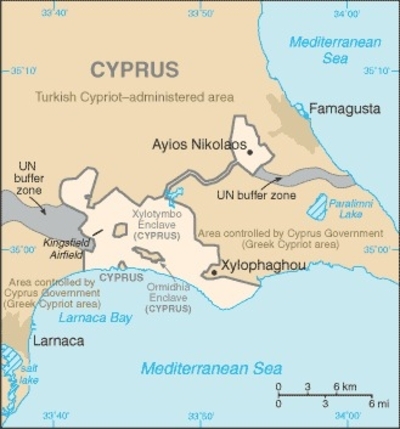 Unlike nearby Israel, which is also surrounded by opponents, Cyprus lacks either a military option or protective fences: the personnel of the Turkish armed forces, about 700,000, approximate the size of the entire population in the Republic of Cyprus, about 850,000. Put differently, Turkey's population outnumbers that of Cyprus by nearly 100 times. But Nicosia can create alliances, especially with Israel, to enhance its security. 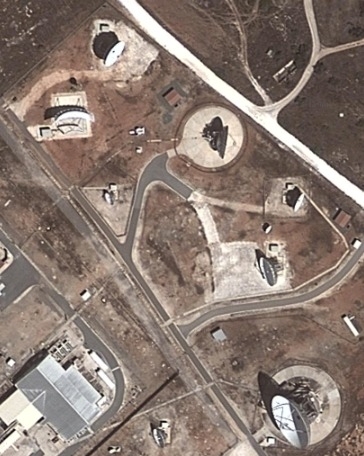 Israel, in turn, by pursuing combined gas operations, gains strategic depth for its air force and a diplomatic friend. As an aide to Cyprus' President Nicos Anastasiades told me, "We are Israel's ambassador in the European Union." So far, so good. But the United States Navy has been hollowed out in the Mediterranean Sea to the point that Seth Cropsey, a former navy official, describes the Sixth Fleet as just a command ship in Italy and a few ballistic-missile destroyers in Spain. This force needs urgently to be revitalized to support America's Levantine allies as tensions further heighten in their immediate region. Mr. Pipes (DanielPipes.org), president of the Middle East Forum, recently visited Cyprus. © 2013 by Daniel Pipes. All rights reserved. Nov. 6, 2013 addendum: A major article by Nicky Hager and Stefania Maurizi, "Cyprus: the home of British/American Internet surveillance in the Middle East," appeared in the Italian magazine L'Espresso too late for inclusion in the above analysis. Based on information provided by Edward Snowden, it states that British and U.S. surveillance of the internet "in the Middle East and surrounding regions occurs from a secret base on the island of Cyprus," making the island "a key site" for mass surveillance systems. That would be the Government Communications Headquarters (GCHQ) located at Ayios Nikolaos, a separate unit of the larger sovereign British base of Dhekelia. It is called "Sounder" in one report. Map of the Sovereign Base Area of Dhekelia. Undersea cable maps show Cyprus at the hub of numerous fibre-optic undersea cables making it a natural site to spy on the Eastern Mediterranean and Middle Eastern communications. A number of cables connect Cyprus to Israel and Syria, obvious targets for Anglo-American spying. Other cables run from Cyprus to Lebanon, Cyprus to Egypt and Turkey, to Greece and Italy, and so on. The major SEA-ME-WE3 cable connecting South East Asia, the Middle East and Western Europe also comes ashore on the little island country. In total over a dozen strategic cables are accessible in Cyprus and more are planned. It is an ideal site for monitoring communications in the Middle East and surrounding countries. Some of the listening posts at Ayios Nikolaos, courtesy of Google Maps. The National Security Agency also has a direct role in these surveillance capabilities and U.S. intelligence officers are based in sovereign bases, but they "are required to dress as tourists because the UK has promised the Cyprus government that only British staff will work there."